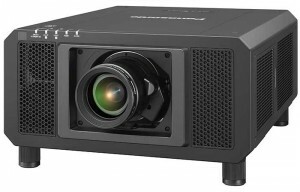 The Netherlands – Panasonic has introduced a new 20,000 lumens projector at ISE 2017, a laser light source companion to the PT-DZ21K, Europe’s best selling high-brightness projector. The PT-RZ21K is a 3-Chip DLP SOLID SHINE laser series aimed at the rental, events and large venue market. It is compatible with existing Panasonic lenses and comes in a similarly compact, lightweight body as the DZ21K, which became an industry essential since its launch in 2012. Visit Panasonic in Hall 1, stand H20, ISE2017, Amsterdam RAI, February 7th – 10th.